Kidorable offers several design options for the little ones in your life, so let your childs imagination run wild!! 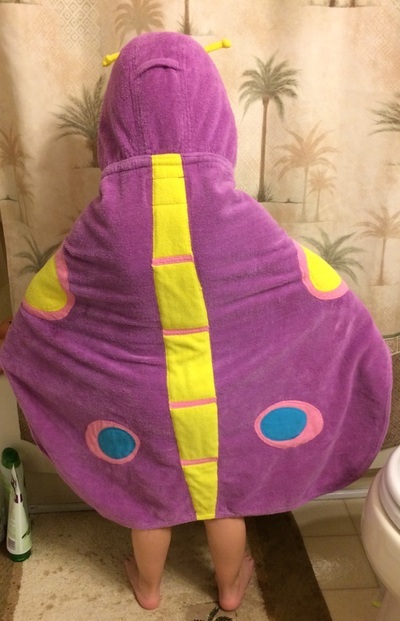 We currently have the butterfly towel that Kidorable sent in exchange for my honest opinion. I can say that I definitely recommend them to everyone! My daughter loves butterflies so this was perfect for her, but you can see their other towel options here. I absolutely love Kidorable products (especially their rain gear) because everything we've tried so far lasts and they are durable. Kidorable makes great quality long lasting products and each product that we've had the pleasure of trying so far has really held up and kept us happy. You are definitely getting what you pay for. 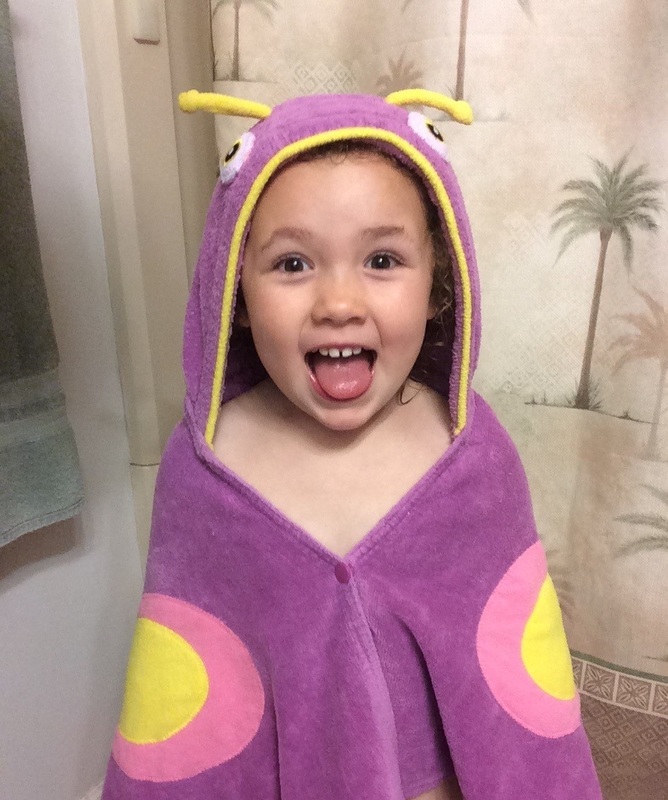 The Kidorable towels are plush and comfy cozy as my 4 year old says. I really like the one button closure for easy wearing, it's cape like. 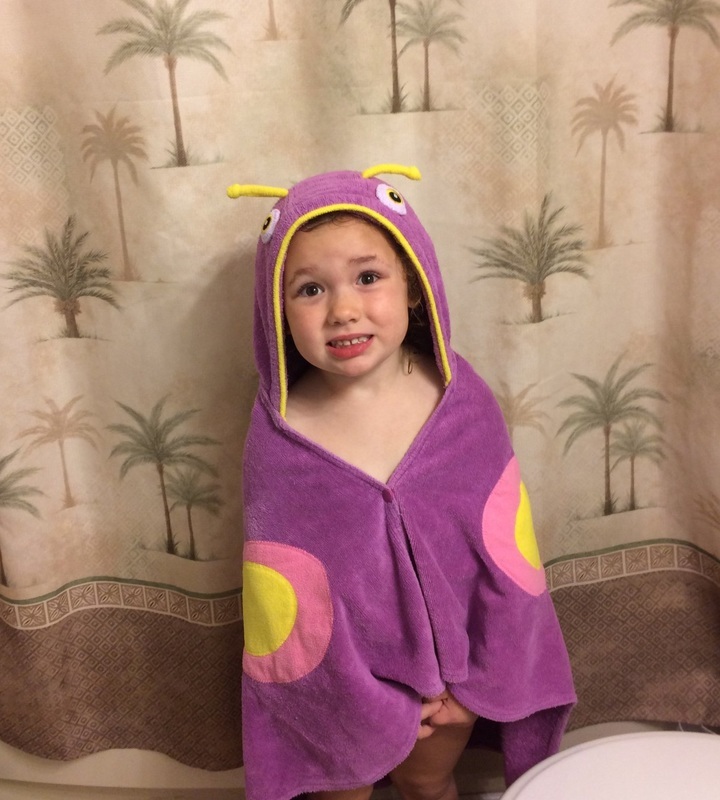 This keeps my daughter happy because her towel isn't falling down and it keeps her warm while waiting for me to get her daytime clothes ready or pajamas. 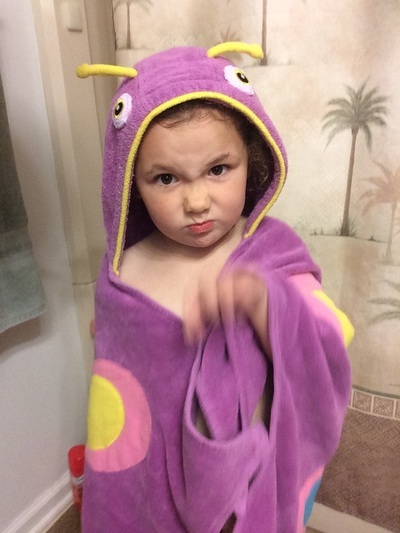 She doesn't need my help wrapping herself up in it and she loves the extra independence that a "normal" towel doesn't make her feel. 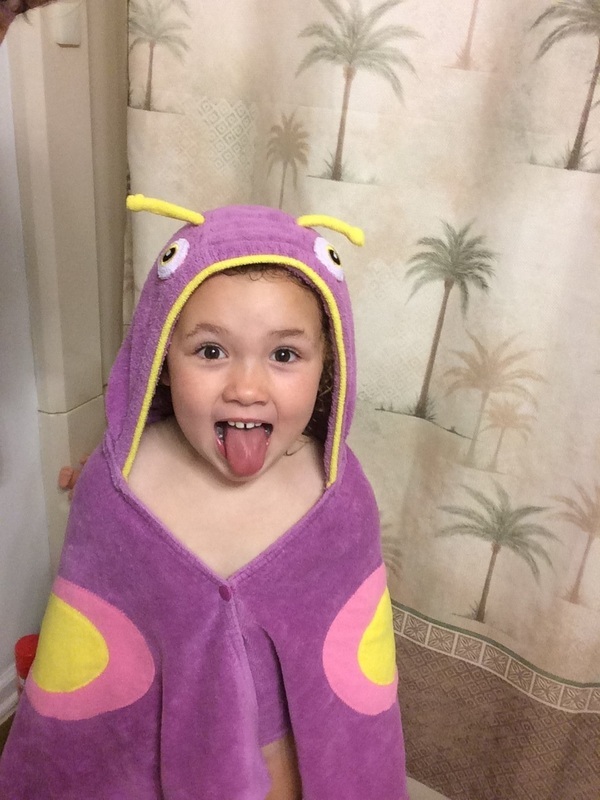 My daughter is fascinated by bugs and all things nature so she was thrilled when we received the butterfly Kidorable hooded towel. She likes to put it on and kneel down low pretending to be a caterpillar in a cocoon, then popping out into a beautiful butterfly. She flutters around the house and has such a wonderful imagination with it. We've also used the towel at the beach, in the backyard after the pool, after swim lessons at the Y and bathtime at home. We get many compliments on it and I'm always proud to direct others to Kidorable! 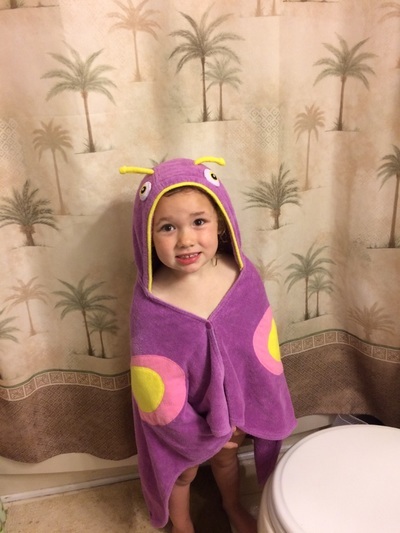 Their towels are 100 percent cotton and they come in two sizes! 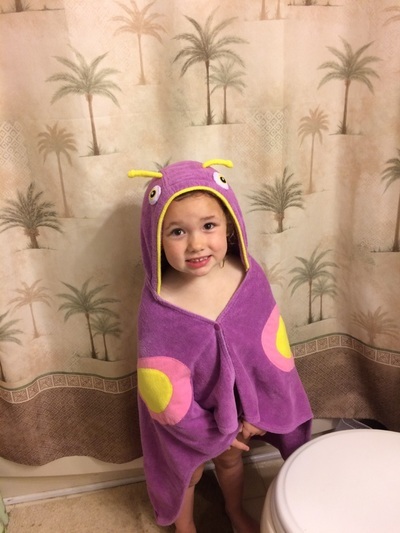 (Small-NB to 2 yrs) & (Medium-5 to 6 yrs). I love that they offer different size options! 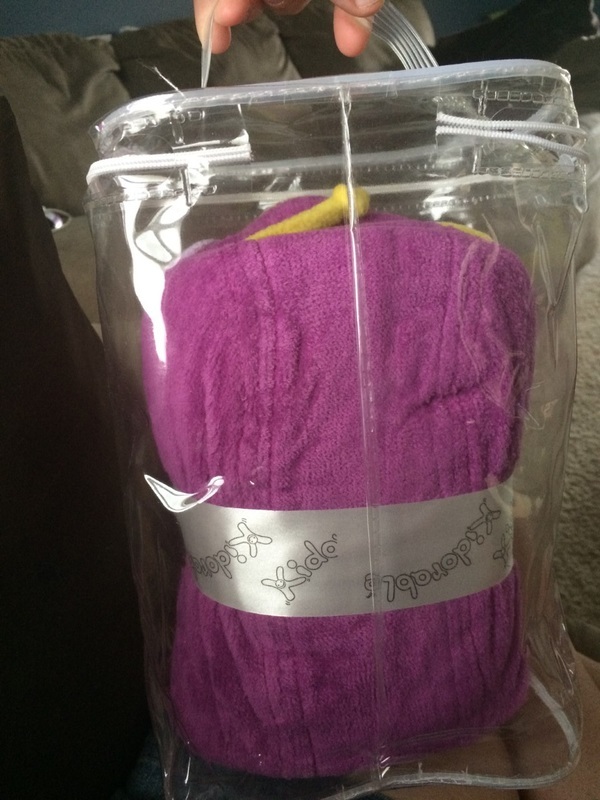 They have cute detail on them but they are machine washable, can it get any better?! Okay, Okay.. maybe if they had them in adult sizes too? :) The towels value at $40.00. 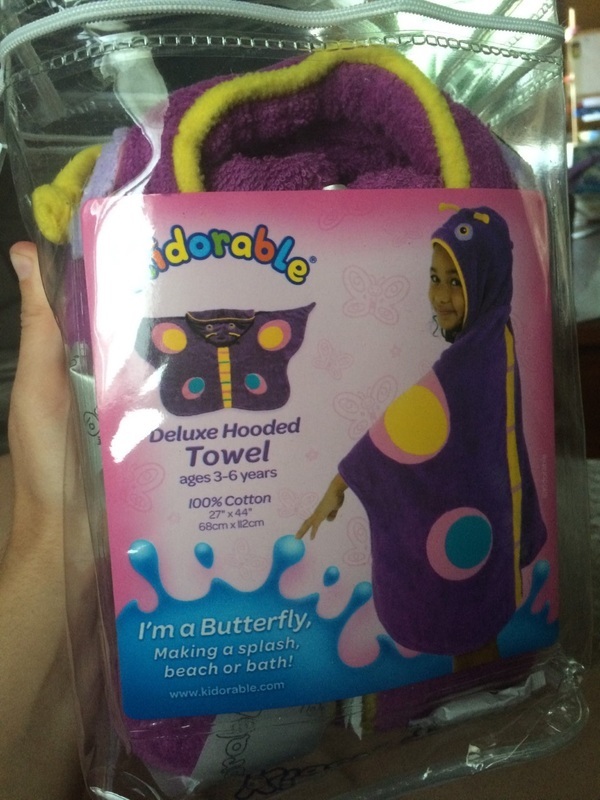 Kidorable also has coordinating products to go with the butterfly them (and other themes). They include: Raincoats, Rainboots, Umbrellas, Backpacks, Gloves, Hats, Scarves, etc. You can check them out at www.kidorable.com! Keep up to date on all things Kidorable for great sales and giveaways on their Facebook page and follow them on Twitter & YouTube as well!! They offered to give away one umbrella to a lucky MLWM reader, so be sure to ENTER HERE!! What is your favorite Kidorable design?? What other design do you hope to see in the product line in the future?